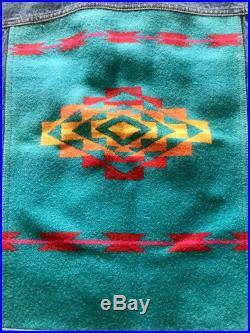 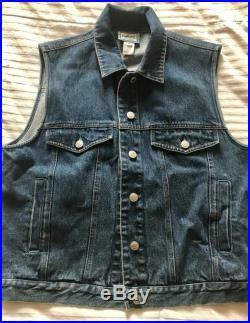 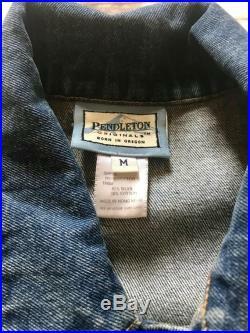 This is a vintage, in great condition, men's medium pendelton denim vestt with beautiful southwest style designs and colors on the back panel which is 100% wool. 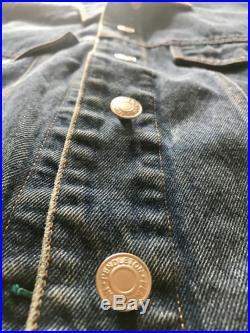 It's hardly been worn and has no tears or stains of any kind, and all the buttons are perfectly intact. 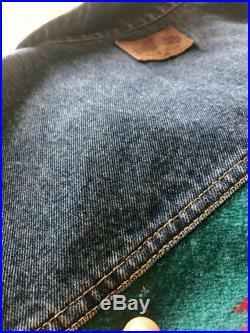 It does have one very small spot of moth damage (see photo), but it is hardly noticeable and certainly doesn't take away from the beauty and quality of the vestback of neck to waist: 21.5armpit to armpit: 21let me know if you have any questions, would like more measurements, or to see additional photos. 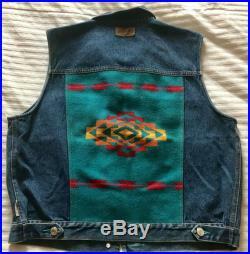 Happy shopping and thanks for lookingmay you always be warm and styling ;blessings all ways, colibrilla arts.